Cincinnati, April 4, 2018 – Reynolds Jet, a leading aircraft management and jet charter company, is delighted to announce the addition of this Bombardier Learjet 45 to its managed fleet. 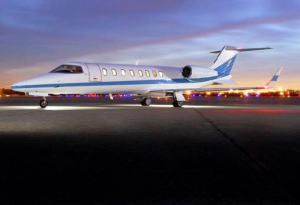 The aircraft is immediately available for worldwide charter, and is perfectly positioned to reach each coast nonstop from its home base of Oklahoma City, OK. This aircraft is beautifully appointed for business travel. Executive leather seating is set out in a double club configuration, plus fold out-tables that deploy from the sidewalls, and there is a belted lavatory seat for a 9th passenger for takeoff and landing. The Learjet 45 offers the kind of head, shoulder, elbow and leg room more commonly associated with larger aircraft. Furthermore, its cabin is designed to offer the most usable passenger space possible, with plenty of room for the comfortable chairs to swivel, recline and track – all of which make a huge difference when flying across the nation. A noisy cabin can cause fatigue during a flight, but the noise level in this cabin never exceeds 72 db. This provides a quiet, efficient work environment where passenger conversations are never disrupted. Additionally, sixteen windows surround the cabin, providing ample natural lighting. Amenities include a full refreshment center with hot and cold beverages and assorted snacks. Plus, the exterior baggage capacity of 50 cubic feet means there is room for 10 large baggage or 6 sets of snowboards/skis and boot bags, or 8 sets of golf clubs. The 15 cubic feet of interior baggage space is accessible inflight, for passenger convenience. Bryan Tye, Reynolds Jet Director of Operations commented “Our private jet travelers in Oklahoma will love this new-to-the-charter-market Learjet 45. With its fast cruising speed and time-to-climb performance, this aircraft will carry passengers on demanding schedules to and from their destination much quicker and more comfortably. Learjet 45s are renowned for their performance, economy and reliability. 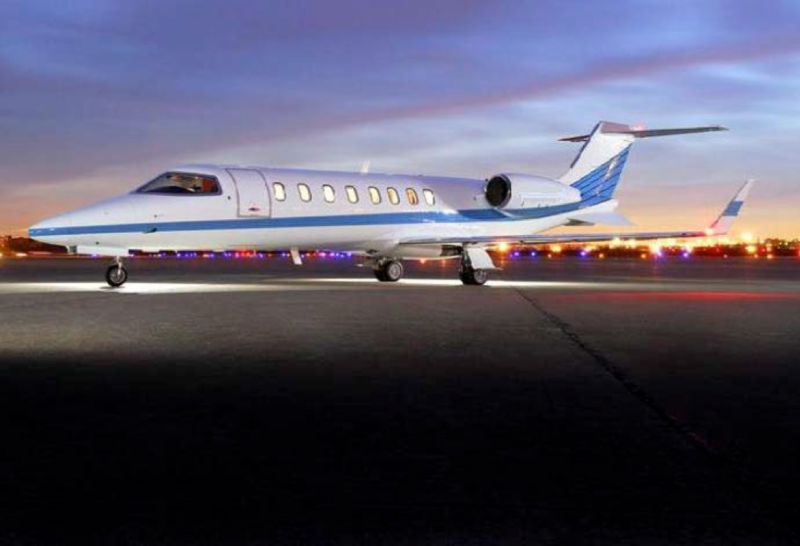 This is a great charter jet for those looking for a cost-effective and luxury way to travel’. 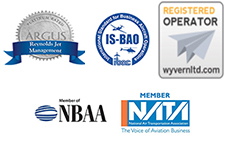 Reynolds Jet holds the ARG/US Platinum rating and is IS-BAO Stage 3 registered – fewer than 1% of all charter operations in the U.S. have earned the very highest safety accreditations that Reynolds Jet has attained. Furthermore, this achievement has been accomplished with a relatively lean, dedicated flight department, built on the philosophy of better, not bigger. Beyond the flying, Reynolds Jet wanted to make things better through our worldwide jet charter and dedicated aircraft management operations. Early in 2017 the company became the first and only B Corp certified aviation company. One hundred percent of the net profits from these private jet travel services provide air transportation to children and their families in need of specialized cancer care at the Cancer and Blood Diseases Institute at Cincinnati Children’s Hospital. With the addition of this Learjet 45 to the Reynolds Jet fleet family, the company’s charter fleet now consists of six aircraft for charter, spanning the light, mid, super-mid and large jet categories. The fleet includes two Challenger 604s, G200, Lear 40XR, Hawker 400XP and this latest Learjet 45. For more information, or to book a charter flight please visit www.ReynoldsJet.com or call 877.533.0393.